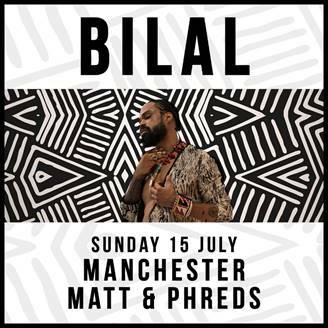 Philadelphia born, Grammy award winning Soul singer, Bilal announces his debut Manchester show at Matt & Phreds on Sunday 15th July, with tickets available from 10am on Friday 18th June via gigst.rs/Bilal. One of the most dynamic artist of our time, drawing from gospel, jazz, soul, blues, and hip-hop, Bilal made his major label debut with 2001’s First Born Second which featured the likes of Dr Dre, Mos Def, Common and Jadakiss. The cd sold over 300,000 copies and announced Bilal to the world. Bilal’s sophomore recording Love For Sale leaked online before its official release and would enjoy over half a million downloads. 2010 saw Air Tights’ Revenge, which yielded the Grammy nominated single “Little Ones”. In Feb 2013, Bilal released A Love Surreal, which went on to garner critical acclaim being named as one of People Magazine’s Top Ten albums of 2013. 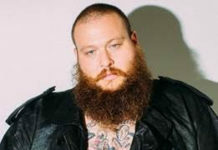 In 2015 he released his most celebrated project of his career, “In Another Life” produced entirely by retro soul producer Adrian Young, Grammy Award success soon followed following his participation on the critically acclaimed, “To Pimp a Butterfly” by Kendrick Lamar.